The Delta Mu Delta business honor society tapped Brenau University to host the newest chapter of the 100-year-old organization. The Brookfield, Ill.-based society, which operates on 240 campuses worldwide, recognizes academic excellence in baccalaureate, master’s, and doctorate degree business administration programs. 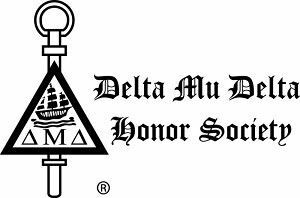 Delta Mu Delta selects students in the top 20 percent of their classes for lifetime membership. Currently more than 160,000 DMD members reside in 175 countries.